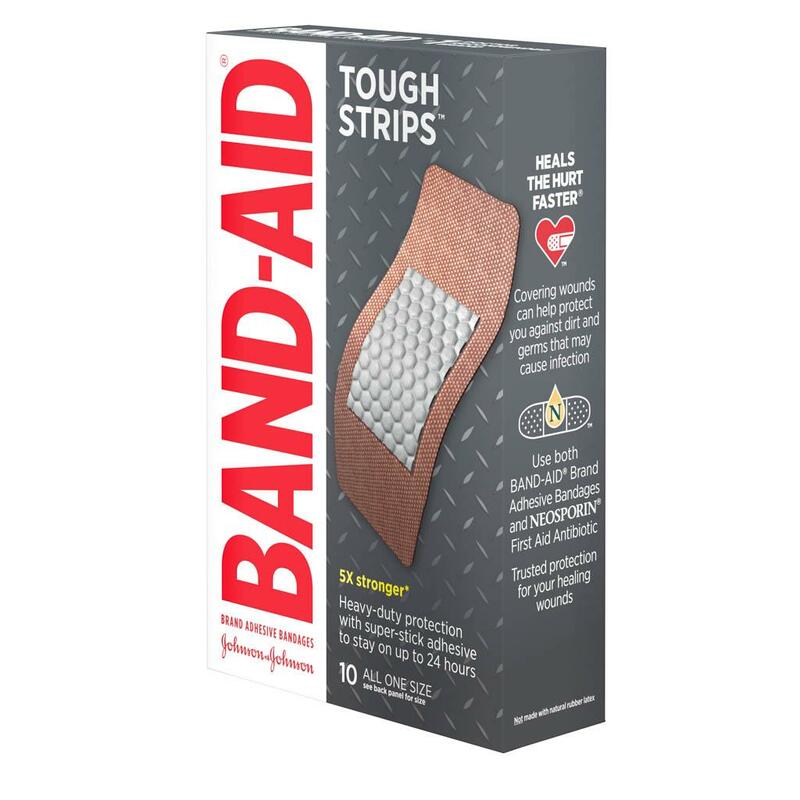 BAND-AID® Brand TOUGH STRIPS™ Bandages XL provide heavy duty durable wound care protection that stays with you all day. 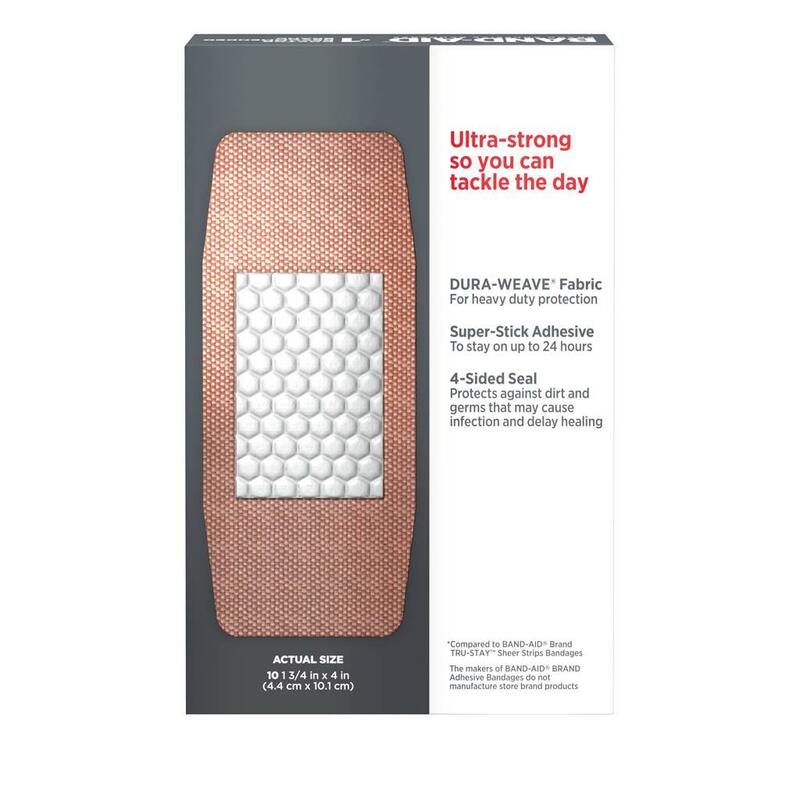 These BAND-AID® Brand TOUGH STRIPS™ Bandages are made with DURA-WEAVE® Fabric and provide superior adhesion to stay on up to 24 hours. 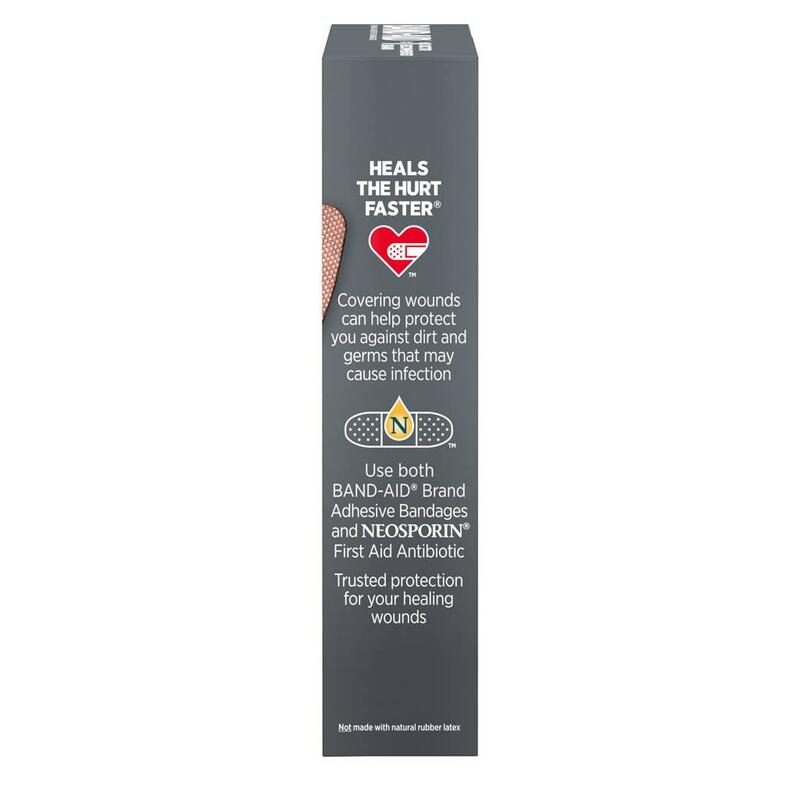 BAND-AID® Brand TOUGH STRIPS™ Bandages have a non-stick pad that won’t stick to the wound. 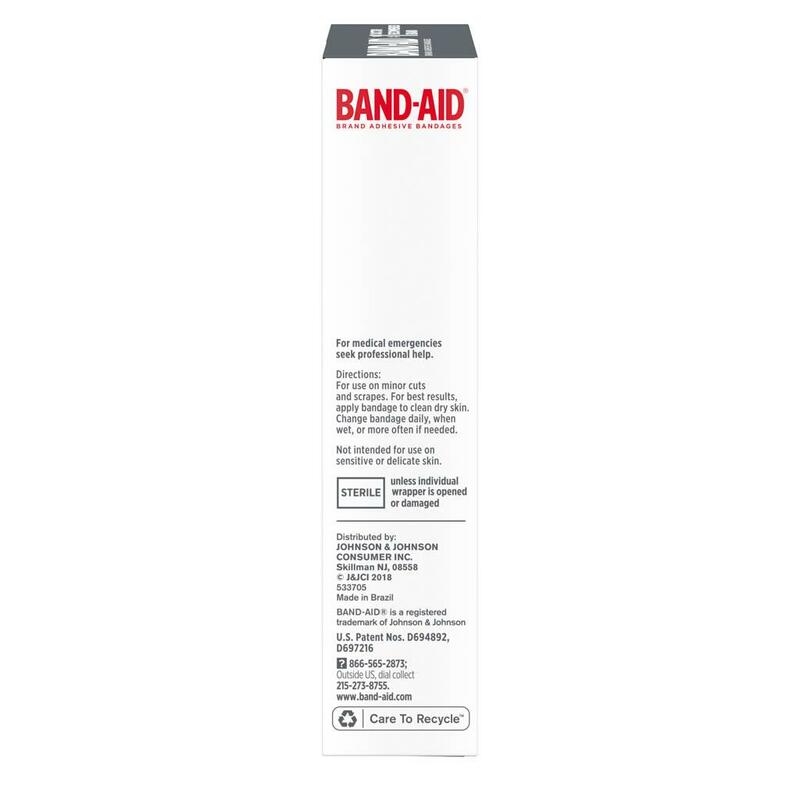 Please note that BAND-AID® Brand TOUGH STRIPS™ Bandages are not recommended for sensitive or delicate skin. This package contains 10 extra-large heavy-duty sterile bandages, each measuring 1.75 by 4 inches. I have to chuckle when reading the reviews here about the adhesive-ness being too adhesive! As the adhesive-ness is the feature I like best. To be fair I mostly use these on my hands and fingers. Stays on when around water; Keeps the water away from the wound. Rated 9 out of 10. About the remaining 1. Which is the reason I came here in the first place. How the heck are you to open the individual Band-Aid? I see no easy-open way. Band-Aid folks: What's up with this?